This is the fourth in a series of guest articles authored by Isaac Maposa, the co-founder of Web Enchanter, a Zimbabwean startup in the domain registration space. This feature is on domain names. Domain names can only be composed of letters A-Z (not case sensitive), numbers 0-9 and the dash or hyphen character (”-”) (the hyphen cannot be used at the start or end of the domain name).However to those who do not use the English alphabet the Letter-digit-hyphen restriction does not apply, for example those who use the Chinese characters. The domains registered with those who use the non English alphabet are classified as Internationalised Domain Names (IDNs) (We will cover that in the following articles). The maximum domain length is 63 characters and the minimum length of a domain name is 2 characters, though one character domains were registered prior to the restriction. However different countries may apply different domain length restrictions on their country code Top Level Domains (ccTLDs). Most people think a URL is the same as the domain name. 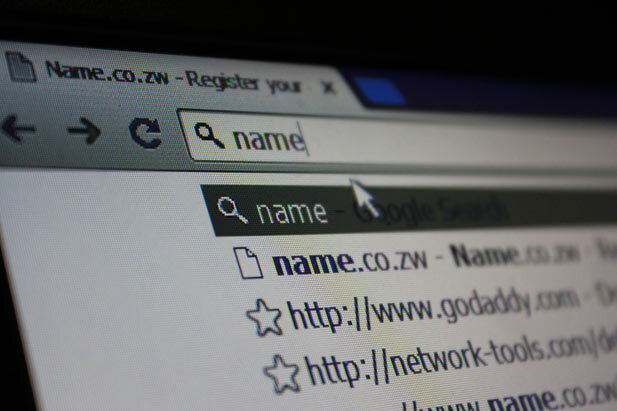 A URL is not a domain name; let’s look at this site’s address as an example, http://www.techzim.co.zw. This address entails a URL and the actual domain name in this URL is “techzim.co.zw”. Anything that comes after techzim.co.zw locates certain resources on the Internet for example http://www.techzim.co.zw/2014/09/everything-need-know-domain-names/ will take you to the specific article on domain names on the site techzim.co.zw. Http:// (Hyper text transfer protocol) in this URL defines the protocol/language a computer uses to communicate with the website and the two slashes “//” shows the establishment of a connection. The “:” separates the protocol from the rest of the address. The “www” (World Wide Web) is not really necessary; it is just a sub-domain of the domain name techzim.co.zw. You can still connect to this site if you type in the address bar http://techzim.co.zw without including the “www”. The domain name techzim.co.zw is also referred to as the root domain. 1. Generic Top Level Domains (gTLDs) e.g. .com, .info, .biz. Authority of these domain names is usually delegated to private organisations for example the .com TLD is managed by VeriSign. 2. Country Code Top Level Domains (ccTLDs) e.g. .tv, .jp, .us. Each country in the world has a two letter code for example “zw” for Zimbabwe. These country codes are used as the country’s domain name extension. Some countries like Zimbabwe subdivided the country code top level domain into country code Second Level Domains (ccSLDs) like .co.zw, .org.zw. Some ccTLDs have been adopted globally to be used outside the home countries for example .tv (for the Island Nation of Tuvalu), .io (for the British Indian Ocean Territory).